Highlights of Bury's 4-3 win over Blackpool from League One. Bury climbed back into the League 1 play-off places after a thrilling 4-3 home win against Blackpool. The Shakers stormed into a 2-0 lead inside 10 minutes, only for the Seasiders to reply two minutes later. The Shakers then went 4-1 up with two goals in eight minutes before Pool pulled another one back on the stroke of half-time. And despite scoring a late penalty, the visitors were unable to stretch their unbeaten run to seven. Bury's opener came from Chris Hussey's third-minute corner. Hayden White deflected the ball towards his own net and it went in off David Ferguson on the goal-line. Peter Clarke headed down from another Hussey corner for Danny Rose to convert, but Bury's new loan goalkeeper Daniel Bachmann then miscontrolled a backpass, allowing Mark Cullen to tap into an open goal. 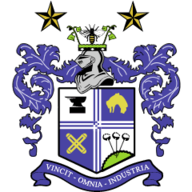 Hussey restored a two-goal cushion for Bury after 27 minutes, his curling free-kick beating Colin Doyle at his near post. 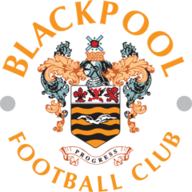 Tom Soares then fired in a superb 34th-minute strike from almost 30 yards, while Clark Robertson gave Pool hope by heading home from Jack Redshaw's 44th-minute corner. Cullen twice went close after the break before Danny Pugh was adjudged to have pulled back substitute Martin Paterson in the 84th minute. And although Redshaw converted from the penalty spot, Bury hung on for their first win in five.